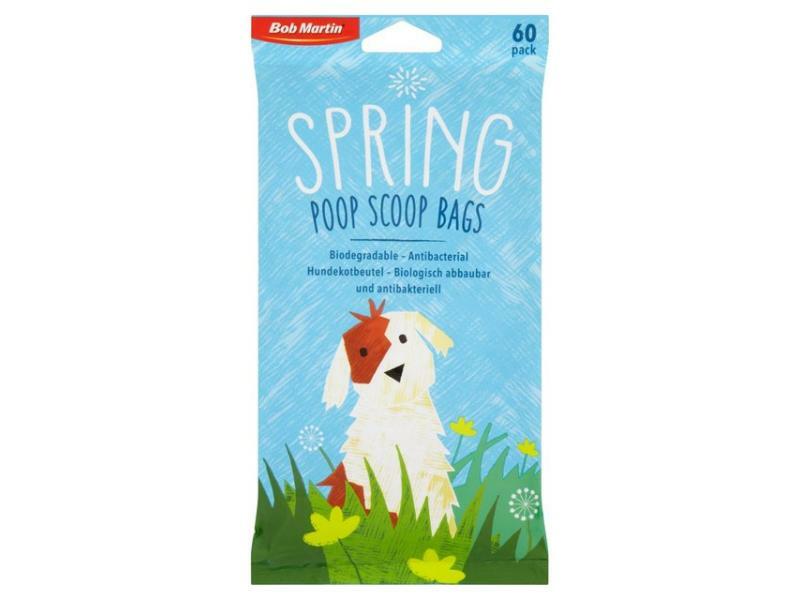 The Bob Martin Biodegradable Poop Scoop Bags are perfect for use when walking your dog. These tie handled poo bags are perfumed and antibacterial to help kill germs. They are also bio-degradable to reduce the effect you have on the environment. 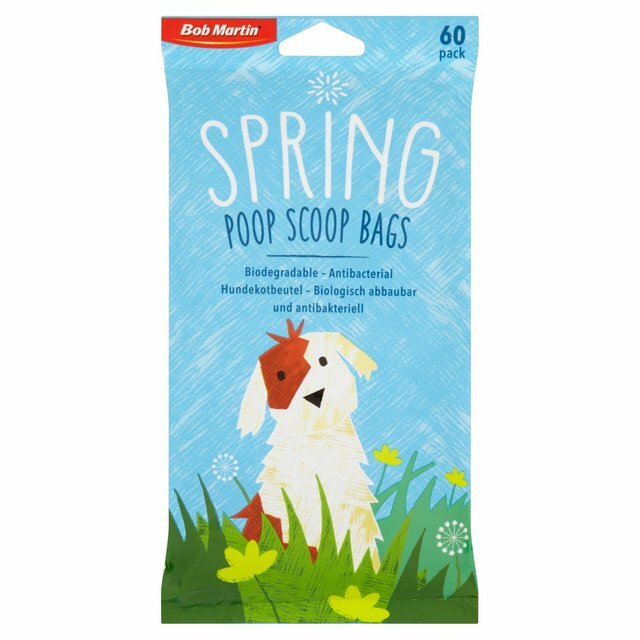 Below are some recent questions we've received regarding Bob Martin Biodegradable Spring Poop Scoop Bags, including answers from our team. Are the bags individual or on a roll? These bags come individually, not on a roll. 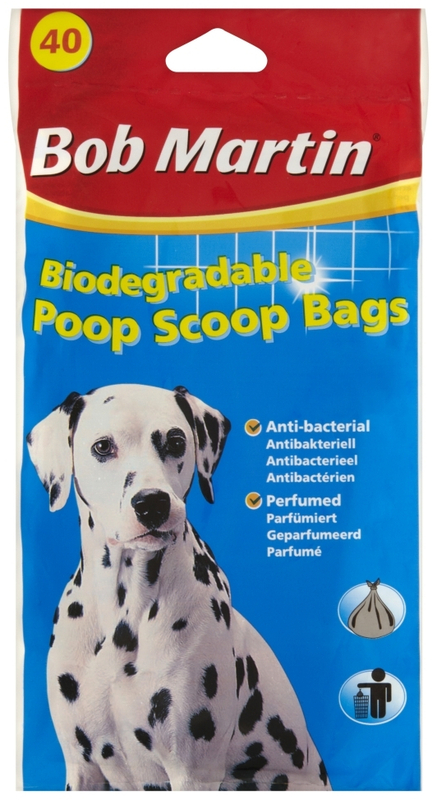 The size of the poop bags are 22 x 11.5 x 22 cm.